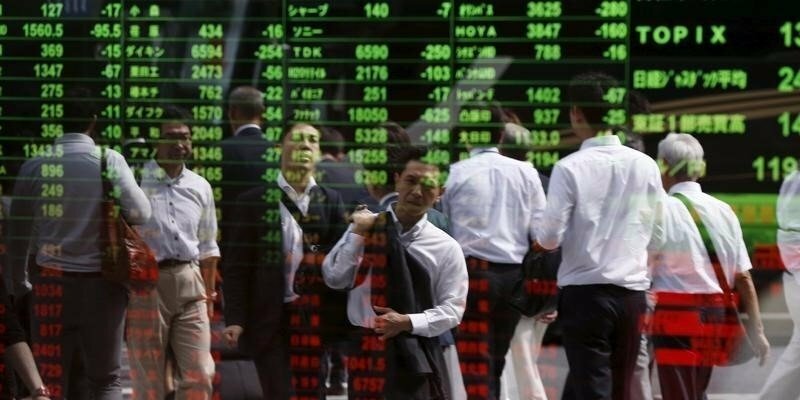 Market reaction in Asia after the partial shutdown of the U.S. federal government was muted Monday, with little movement in stocks and other asset classes. However, Samsung Electronics 005930, -2.19% fell as fresh caution grew about demand for rival Apple’s most expensive iPhone. The Wall Street Journal Dollar Index BUXX, -0.20% was recently flat after slight declines earlier in the day, while S&P 500 futures ESH8, -0.14% eased 0.1% and 10-year Treasury TMUBMUSD10Y, -0.24% ticked down to 2.64% from 2.66% earlier. Samsung was recently down 2.2%, as South Korea’s Kospi index SEU, -0.72% fell 0.7%. Before Monday, the benchmark had traded up in five of the past six days. While the South Korean company has its own line of smartphones, it is also a global manufacturer of components. Samsung’s next-generation displays feature organic light-emitting diodes, or OLED. Apple AAPL, -0.45% uses Samsung’s technology for the iPhone X.
Apple audio supplier AAC Technologies 2018, +0.96% declined 2.4% in Hong Kong and Japan’s Alps Electric 6770, -1.36% , which makes sensors, dropped 1.5%. However, smartphone-lens company Largan Precision 3008, +0.00% and Apple product assembler Hon Hai 2317, -0.31% were little changed in Taiwan. That market, home to a number of companies in Apple’s supply chain, hit a 28-year high as the Taiex Y9999, +0.72% rose 0.7%, led by a 2.4% jump in Taiwan Semiconductor 2330, +2.35% its biggest component. The stock rallied 7.8% last week after strong fourth-quarter results. Shares in Shenzhen rebounded strongly after a period in which Chinese investors focused on large-capitalization names, many of which are listed in Shanghai. Shenzhen’s startup-heavy ChiNext price index hit a six-month low in morning trading but was recently up 2.2%. The Shanghai Composite index SHCOMP, +0.39% was essentially flat after Chinese regulators fined Shanghai Pudong Development Bank 462 million yuan for falsifying loan applications and covering up bad-debt levels. The penalty was actually good news for foreign investors as it indicates a move toward transparency, said a Singapore-based analyst with a foreign bank. In Australia, the benchmark S&P/ASX 200 XJO, -0.23% fell for a fifth straight session, down 0.2% to levels last seen in early December. The country’s big banks again fell.